Peter Ilyich Tchaikovsky was one of the most loved of Russian composers. His music is famous for its strong emotion, and his technical skill and strict work habits helped guarantee its lasting appeal. Born on May 7, 1840, in Votkinsk in the Vyatka district of Russia, Peter Ilyich Tchaikovsky was the son of a successful engineer. Peter and his brothers and sister received a sound education from their French governess. His parents sometimes took him to concerts, and after one such evening he complained that he could not fall asleep because of the music stuck in his head. He was devoted to his mother, and at age four he and his sister composed a song for her. Her death when he was fourteen was a huge blow to him. Tchaikovsky attended law school in St. Petersburg, Russia, and, while studying law and government, he took music lessons, including some composing, from Gabriel Lomakin. Tchaikovsky graduated at the age of nineteen and took a job as a bureau clerk. He worked hard, but he hated the job; by this time he was totally absorbed by music. He soon met the Rubinstein brothers, Anton (1829–1894) and Nikolai (1835–1881), both of whom were composers. Anton was a pianist second only to Franz Liszt (1811–1886) in technical brilliance and fame. In 1862 Anton opened Russia's first conservatory (a school that focuses on teaching the fine arts), under the sponsorship of the Imperial Russian Music Society (IRMS), in St. Petersburg. Tchaikovsky was its first composition student. Tchaikovsky's early works were well made but not memorable. Anton Rubinstein was demanding and critical, and when Tchaikovsky graduated two years later he was still somewhat frightened by Anton's harshness. In 1866 Nikolai Rubinstein invited Tchaikovsky to Moscow, Russia, to live with him and serve as professor of composition at the Moscow Conservatory, which he had just established. Tchaikovsky's father was now in financial (money-related) trouble, and the composer had to support himself on his meager earnings from the conservatory. The musical poems Fatum and Romeo and Juliet that he wrote in 1869 were the first works to show the style he became famous for. Romeo and Juliet was redone with Mily Balakirev's (1837–1910) help in 1870 and again in 1879.
ballet ever written if measured in terms of broad audience appeal. In 1877 Tchaikovsky married the twenty-eight-year-old Antonina Miliukova, his student at the conservatory. It has been suggested that she reminded him of Tatiana, a character in his opera Eugene Onegin. His unfortunate wife, who became mentally ill and died in 1917, not only suffered rejection by her husband but also the vicious criticism of his brother Modeste Tchaikovsky. Modeste, like Peter, was a misogynist (one who hates women). Modeste attacked Antonina in a biography he wrote about Peter. This was an attempt to shield Peter and mask his weaknesses. Later biographers repeated and even exaggerated Modeste's claim that Antonina was cheap and high-strung. Tchaikovsky never stuck around to find out what she was like. Within a few weeks he had fled Moscow alone for an extended stay abroad. He made arrangements through his relatives to never see his wife again. In his correspondence of this period—indeed through a large part of his career—he was often morbid (gloomy) about his wife, money, his friends, even his music and himself. He often spoke of suicide. This, too, has been reported widely by Tchaikovsky's many biographers. Even during his life critics treated him unkindly because of his open, emotional music. But he never sought to change his style, though he was dissatisfied at one time or another with most of his works. He also never stopped composing. Tchaikovsky became involved in another important relationship at about the same time as his marriage. Through third parties an unusual but helpful arrangement with the immensely wealthy Nadezhda von Meck was made. She was attracted by his music and the possibility of supporting his creative work, and he was interested in her money and what it could provide him. For thirteen years she supported him at a base rate of six thousand rubles a year, plus whatever "bonuses" he could manage to get out of her. He was free to quit the conservatory, and he began a series of travels and stays abroad. Von Meck and Tchaikovsky purposely never met, except for one or two accidental encounters. In their correspondence Tchaikovsky discusses his music thoughtfully; in letters to his family he complains about her cheapness. He dedicated his Fourth Symphony (1877) to her. Tchaikovsky finished Eugene Onegin in 1879. It is his only opera generally performed outside the Soviet Union. Other works of this period are the Violin Concerto (1881), the Fifth Symphony (1888), and the ballet Sleeping Beauty (1889). Tchaikovsky's fame and his activity now extended to all of Europe and America. To rest from his public appearances he chose a country retreat in Klin near Moscow. From this he became known as the "Hermit of Klin," although he was never a hermit. In 1890 he finished the opera Queen of Spades, based on a story by the Russian poet Aleksandr Pushkin (1799–1837). Tchaikovsky was happy when, despite the criticism of "experts," the opera was well received. In late 1890 Von Meck cut him off. He had reached the point where he no longer depended on her money, but he was still upset by her rejection. Even his brother Modeste expressed surprise at his anger. Tchaikovsky had an immensely successful tour in the United States in 1891. The Sixth Symphony was first heard in October 1893, with the composer conducting. This work, named at Modeste's suggestion Pathétique, was poorly received—very likely because of Tchaikovsky's conducting. Tchaikovsky never knew of its eventual astonishing success, for he contracted cholera (a disease of the small intestine) and died, still complaining about Von Meck, on November 6, 1893. Cencetti, Greta. Tchaikovsky. Columbus, OH: Peter Bedrick Books, 2002. Garden, Edward. Tchaikovsky. New York: Oxford University Press, 2000. Holden, Anthony. Tchaikovsky: A Biography. New York: Random House, 1995. I just listened to Tchaikovsky's 5th Symphony. The 5th Symphony is grand; like Tchaikovsky's second piano concerto, one can almost see the Tsar leading his Army, riding a white horse, as the music progresses. The 19th century was mostly optimistic, and at least lip service was paid to the Bible and Christianity. The rise of Darwinism and the near collapse of civilization during the World War Ied to modern existentialism and irrationalism, but Tchaikovsky was gone from the scene twenty years before World War I. Like Mozart and Beethoven, Tchaikovsky wrote some church music. (Please understand; I believe that, as the apostle Paul said, "In Jesus Christ are hidden all the treasures of wisdom and knowledge." We don't need to be reactionaries, but we do need to be Christians.) 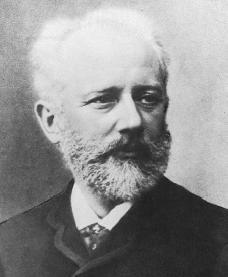 At least one biographer has reported that Tchaikovsky was homosexual and conflicted about it, which is understandable.